A new natural rock face has been recently found in Thane and here’s why you should take up rock climbing to tone up. 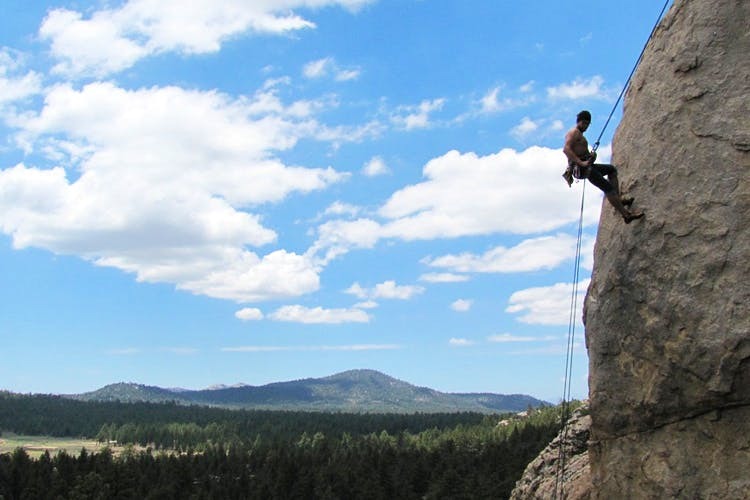 Rock climbing’s popularity may not match up to other adrenaline-pumping sports but it is the most effective way to get fitter, improve focus and learn important life skills. The city has a few indoor climbing surfaces but none outdoors. Thane has now given us one. Located in Mumbra, Thane, the surface is friendly for noobs and also has difficult trails for the pros. If you’ve been thinking of starting or are already a climber, this seems like an exciting trail to conquer.